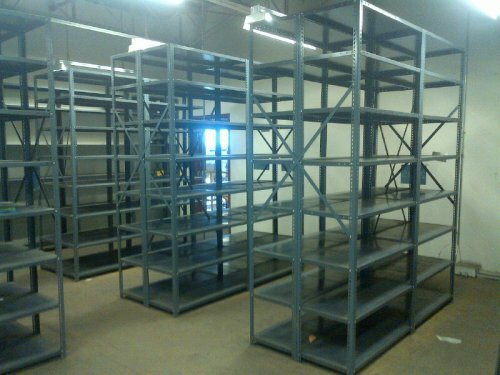 We have a lot of Triple A Painted Steel Shelving in stock, various sizes. Back and side braces are $6 per set. Corner gussets are $3 each. This shelving is no longer being manufactured as Triple A went bankrupt years ago. Please call or use the contact form bellow to inquire about available sizes, quantities and prices.